Hydrolyzed Whey Protein Isolate, Whey Protein Isolate, Natural And Artificial Flavors, Soy Lecithin, Sucralose. Dissolve 1 scoop of powder into 8 ounces of cold water. Consume after exercise or throughout the day to meet your dietary protein needs. Do not consume more than 3 servings per day. Consult your healthcare professional prior to use if you have or suspect a medical condition, are taking prescription drugs. Recommended for adult use only. Product should not be used by pregnant or lactating women. Store in a cool, dry place. Keep out of reach of children. 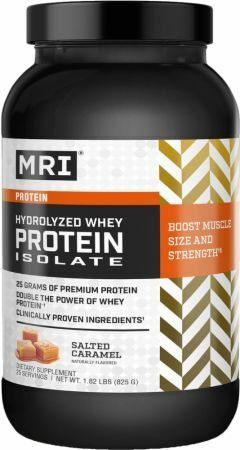 Hydrolyzed Whey Protein Isolate, Whey Protein Isolate, Natural Flavor, Soy Lecithin, Sucralose. ‡Based on a study using 6g of whey protein. Lava Cake This is a Buy 1 Get 1 FREE offer!